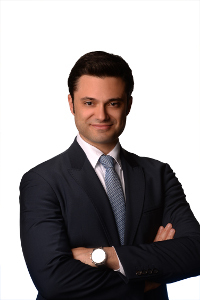 After graduating from Galatasaray University Faculty of Law, Erdem joined Pekin & Pekin in 2009 at the Dispute Resolution Department and has been with the Firm ever since. Currently as a Partner with the Dispute Resolution team, he has been involved in a wide range of lawsuits including commercial disputes, employment disputes, criminal proceedings, administrative disputes, execution and bankruptcy proceedings, debt collection proceedings, compensation lawsuits, consumer disputes, disputes arising from contracts having an international aspect as well as contracts subject to Turkish Law. The clients that Erdem advises and represents are both international and local clients from a wide range of sectors including Automotive, Banking & Finance, Consumer Products & Retail, Energy & Natural Resources, Hospitality & Leisure, Industrial Manufacturing & Service Industries, Infrastructure, Insurance, Pharmaceuticals, Healthcare & Biotechnology, Real Estate & Construction, Telecommunications, Media & Technology, Transportation, Logistics & Defense. Erdem is described by clients to have a “very professional approach” and to provide with “concrete solution ideas rather than citing the disputes in legal parlance”. He is a Lycée Saint-Joseph graduate and is fluent in English and French. You may contact Erdem Atilla using the form below. Debt Restructuring: An Alternative to Insolvency Proceedings, 1st Ed.